Hi girls! 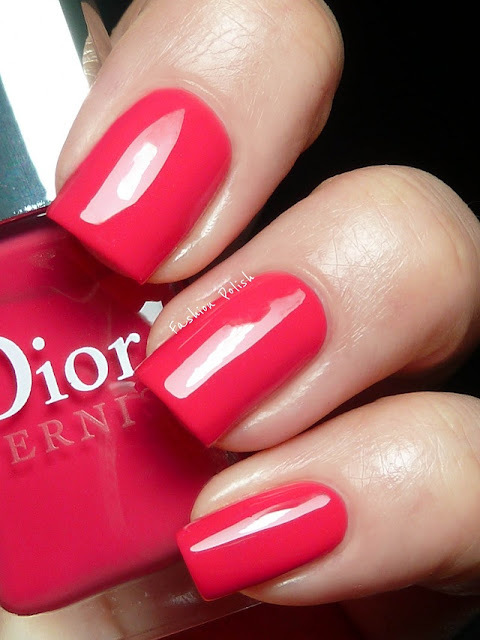 As promised, I have another Extreme Addict for you today : Dior Lucky! Lucky is a truly amazing pink with a strong coral undertone. It's a very versatile color and although it looks obviously pink most of the time, it might also appear like a true coral or even a coral red under certain lighting. I used 2 coats plus topcoat for these swatches and didn't experience any trouble with application. Lucky definitely is my favorite of the collection! I think I might come empy handed looking for dupes, not sure yet. Alternatives will follow very soon but for now, I wish you all an amazing weekend!!! Pink coral is my fave! 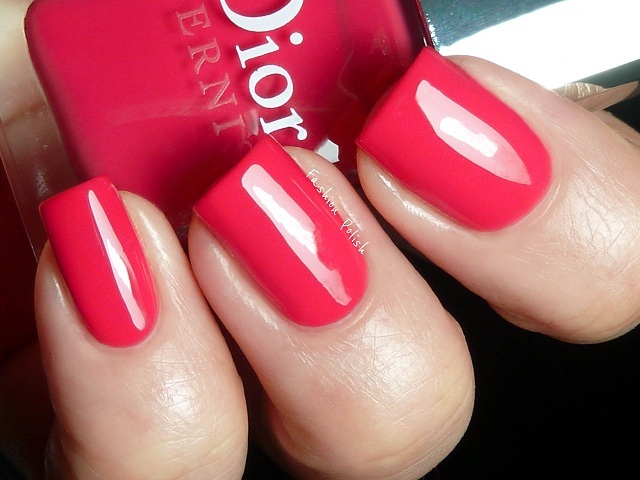 gorgeous shade of pink! LOVE IT! I like the one from yesterday better for me over this one - both are pretty however - and Dior always seems to make great cream finishes. This colour is pretty !